During the two weeks in Bologna for the IP Creating a Context workshop we – Team group 04 – finally realized a work consisting of both a physical installation and a video projection. The work focused on Bologna graffiti dealing with the theme of the un-listened voices of bolognese citizens (didn’t matter if Italian, toursits, students, etc. ): voices with no sounds, as re-presented in the video interviews edited in the city centre asking invited speakers to deliver a free speach without using the voice in front of our camera corder. At the same time, in the gallery space of House of Front, where the final show was arranged, together with the video sequences there was also an installation realized using white building blocks of gasbeton. Here is the link to browse inside the Leoporelli with the final results of the Erasmus Intensive Programme Workshop ‘Structural Architectures’ held at POLIMI the first two weeks of September 2011. On Saturady 101002, finally, there has been the presentation of the work produced by the 8 teams (ca. 140 students) and the opening of MIAW2010 exhibition. In front of a room filled as never seen before (more than 250 people attending), MIAW2010 arrived at the last day of workshop. The exhibition, in Spazio Mostre, will last untill 101014. I corsi di Progettazione degli Interni delle FacoltÃ di Ascoli Piceno, di Milano e di Napoli, bandiscono – per i propri studenti -, un concorso per il disegno di un oggetto di arredo a configurazione variabile: progettare una struttura capace di soddisfare le esigenze di una o piÃ¹ postazioni di lavoro sia che se ne ipotizzi un uso domestico, sia che si ipotizzi un uso per ufficio (pubblico\privato). La struttura deve essere concepita come fosse una unitÃ , un oggetto con una configurazione definita in fase di chiusura che, a seconda dellâ€™uso e delle occasioni (o necessitÃ ) sia in grado di modificare configurazione e geometria determinando piÃ¹ ambiti relativi alle diverse attivitÃ , con diversi gradi di apertura e chiusura, inclusione e\o esclusione rispetto allo spazio circostante con cui il macro-oggetto deve completarsi e confrontarsi. Per sua natura la struttura deve avere la capacitÃ di porsi come elemento di coagulazione delle attivitÃ e delle qualitÃ spaziali e figurative, ipotizzando di riuscire a determinare la qualitÃ dello spazio di vita\lavoro indipendentemente dalle qualitÃ architettoniche del luogo in cui potrebbe inserirsi. TaorminaLand is an International Workshop that took place in Taormina and Giardini Naxos, Sicily, between the 26th of August and the 10th of September 2006, organised by the AIP, research laboratory for Architecture, Infrastructure and Landscape, part of the DIAP (Architecture and Planning Department of Politecnico di Milano). 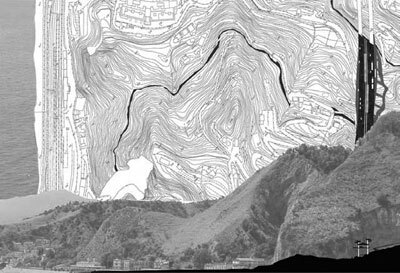 We publish here ‘Profanazioni’, the proposal of one of the participant groups that featured Caroline Notari, Enrico Forestieri, Margherita Parati, Irene Avino, Tommaso Caspani, Luciano Cadeddu, Diego Cea, Giampaolo Celada, Afro Carpentieri and Giuliana Posocco as students, Patrizia Scrugli and Gennaro Postiglione as tutors. 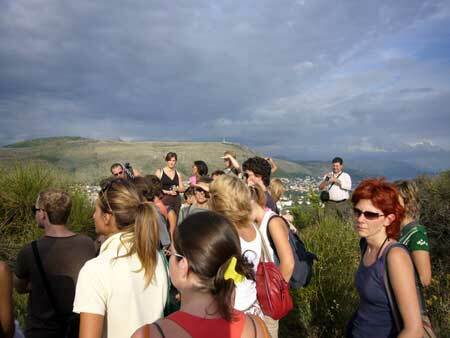 The Faculty of Architecture, University of Zagreb, Croatia, and the International summer school of Architecture Dubrovnik have organised Green Town Workshop 2006 an international workshop for architecture students. 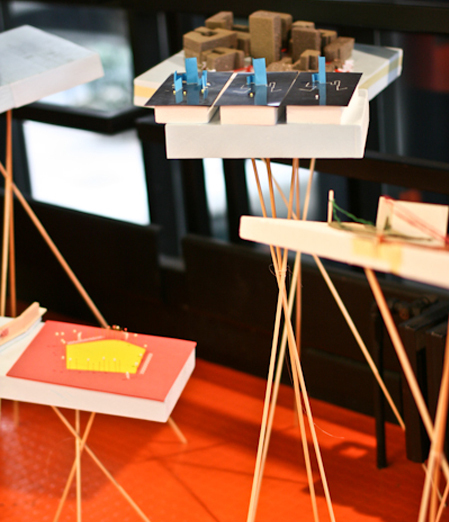 We publish here the final projects developed by 6 different international teams. This post will be updated as more material will be available. Following is possible to download a short photo gallery from the students’ work (Montevideo, October 1998).